Julián Barquero Campos, who in 2016 was diagnosed with acute lymphoblastic leukemia, and prefers to wear his hair long, won his battle against the Colegio Nuestra Señora del Pilar, in Escazú, who demanded he cut his hair. “It is very difficult to explain the great psychological trauma that means to see how your hair fall out. Every time you take a shower, a fist full of hair falls out. It is almost impossible for me to count with words what you feel when you see how little by little you are going bald, for that reason, my hair means the triumph of life, that is why I wear it long because I want to live a lot. My hair is the happiness of the triumph of health over cancer,” said the 19-year-old. 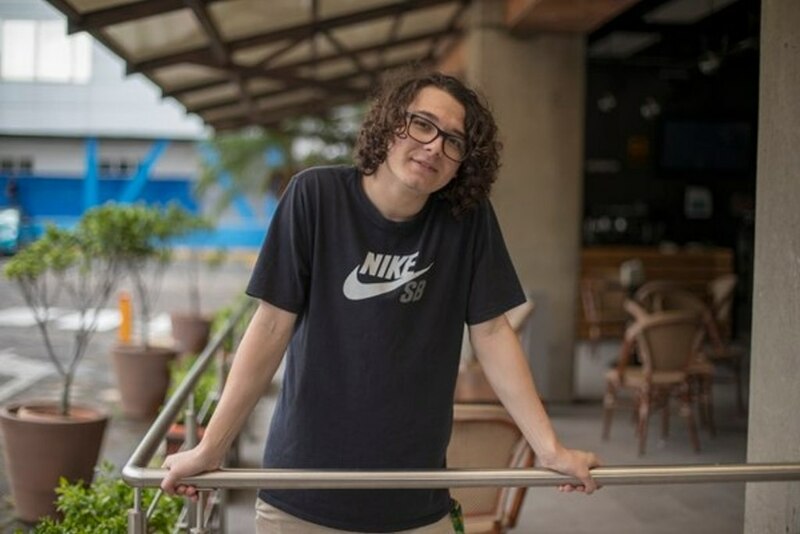 Faced with being forced to cut his hair to stay in school, Julián decided to appeal (recurso de amparo in Spanish) to the Constitutional Court or Sala IV as it is commonly known in Costa Rica. The Sala IV sided with Julián, who now wears with pride and just reason his “colochos” (curly hair). “Hair on the floor means cancer, death; the hair on my head means health, life,” he explains, still with great doubts about why in his school they pay more attention to a cold and hard regulation than to a warrior of life, a fighter against cancer, who last September learned his bone marrow was ‘pura vida’.